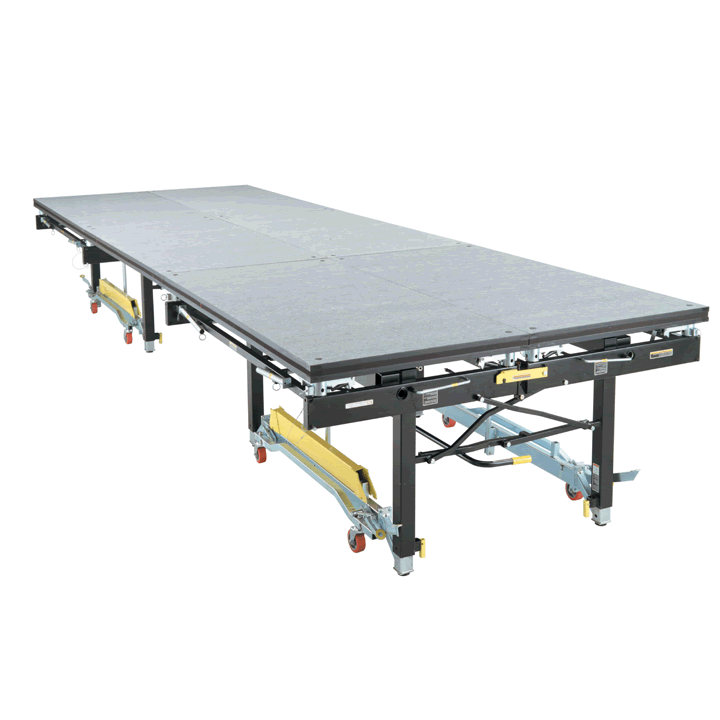 The SICO® Roll N' Set Mobile Stages are amazingly fast to set up and take down. An experienced crew of four can construct a huge 64' x 40' stage in less than 30 minutes (or 60 minutes with an accessories package) — and it can be cleared in even less time! 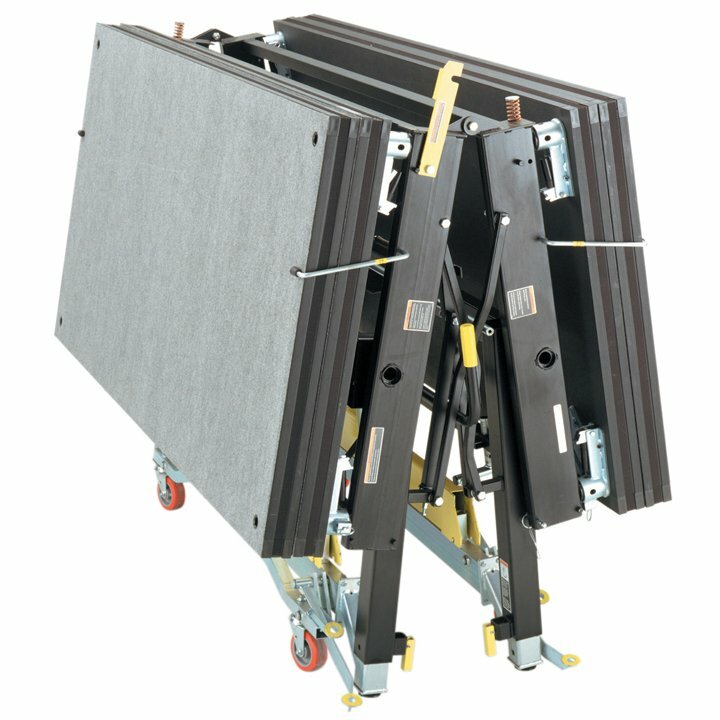 Plus, there is no deck lifting required since the decks store directly on each mobile frame — for 128 sq. ft. (12 sq. m.) of stage per unit. Crew members can simply slide decks into place. 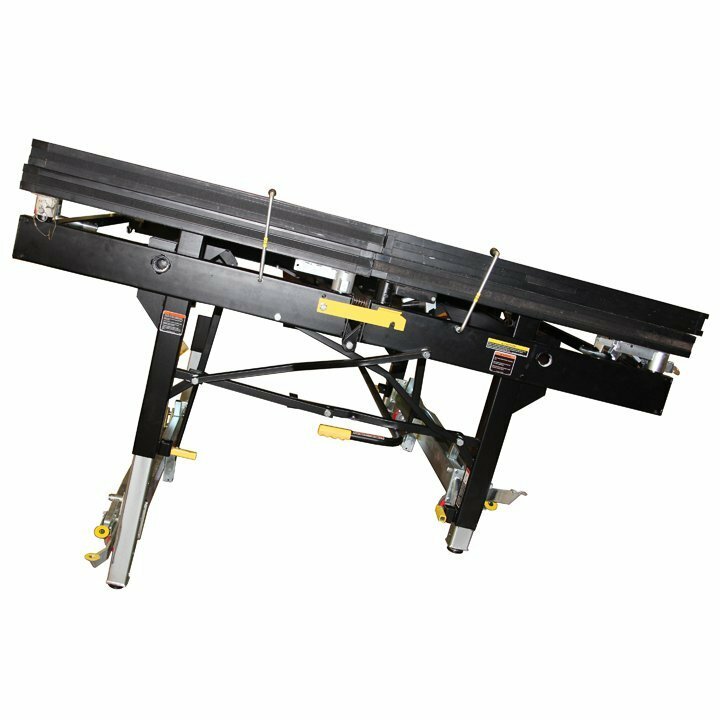 And, adjusting the stage height is a snap with our exclusive Auto-Lift feature, which allows the stage height to be raised or lowered without removing any decks. 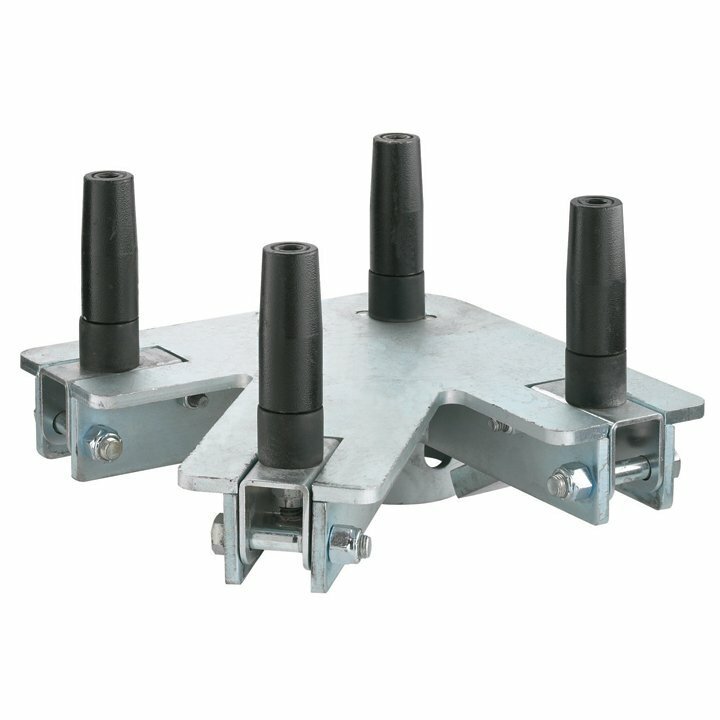 This innovative performance stage also features universal pin connectors that are capable of 2, 3, or 4-way bridging. The semi-flexible pins easily expand to secure decks to frames. And, all operational parts on the Roll N' Set Stage are painted a bright yellow for easy identification. Each Roll N' Set unit is designed to fold effortlessly and easily roll to and from your storage area — with no need for separate deck pallets or storage caddies. Just one more way the Roll N' Set Stage maximizes your efficiencies! The SICO® Roll N' Set stage comes with reversible decks, which offer a tremendous way to optimize usage across a variety of applications. Choose from three deck configurations: 1) Long-wearing carpet surface and a scratch-resistant Tuff-Deck smooth surface, OR 2) Long-wearing carpet surface on both sides, OR 3) Scratch-resistant Tuff-Deck on both sides. 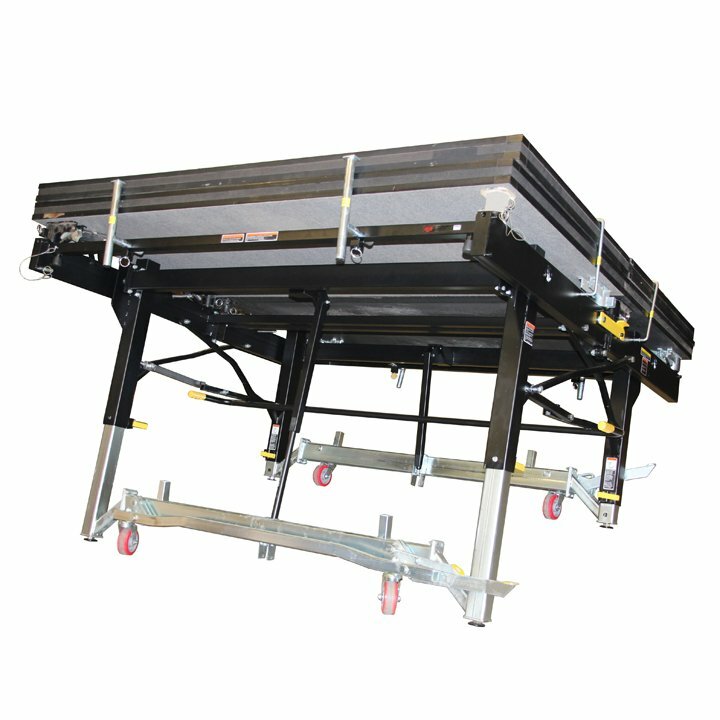 8′ x 8′ (244 cm x 244 cm) 4-way bridging system. Multi-Length Drapes come in standard lengths of: 12″-18″, 16″-24″, 16″-32″, 18″-24″-30″, 24″-30″-36″, 24″-32″, 24″-32″-40″, 30″-36″-42″, 32″-40″, 32″-40″-48″, 32″-48″, 36″-54″, 42-60″, 48″-56″-64″-72″ and 48″-72″.